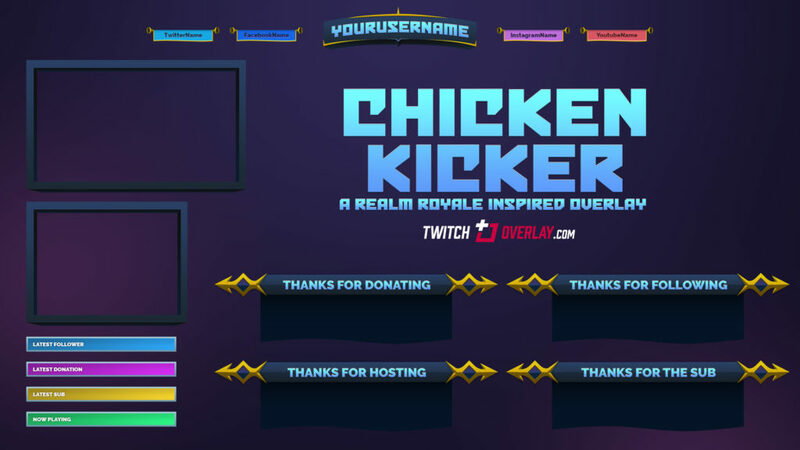 Chicken Kicker is a Realm Royale overlay, inspired by the latest game to step into the battle royale arena. 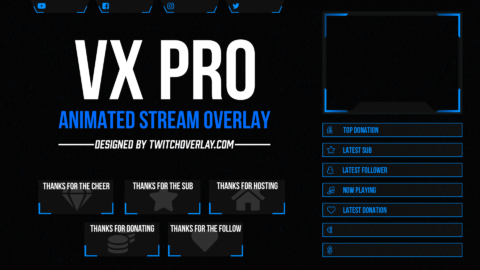 This overlay features a design and structure akin to the art style of the game in a way that will hopefully help the elements included blend in to your stream, and not distract from the action on screen. 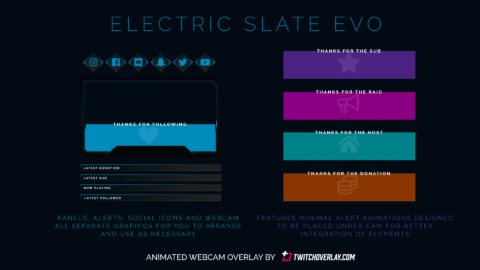 This awesome download includes everything featured in the standard overlay – that’s a themed header, collection of 4x coloured social graphics, and 2x webcam options (4×3 and 16×9) format – plus additional graphics, including a set of 4 panels to display stream info, and 4x stream alerts to cover notification popups. 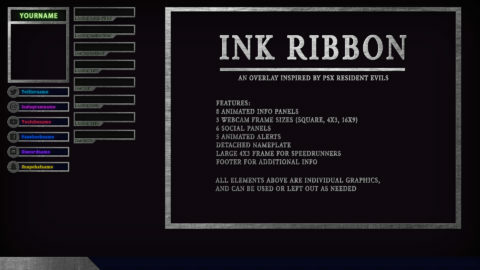 On top of this, the Instant Download includes a .PSD file so those with Photoshop experience can make their own edits to the text included.